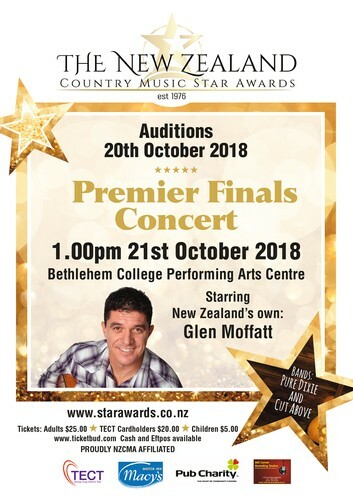 The 42nd Annual Country Music Star Awards Premier Final Show - starring Glen Moffat - back from Australia singing his famous hit - Somewhere in NZ tonight! Listen for the adverts on The Breeze from October 12th. Great band! Great music! Come and see amazing singers competing for the top prize - Trans-Tasman Entertainer of the Year on Norfolk Island May 2019 for Highest Scoring Intermediate or Senior. Overall winners in 5 Categories are chosen to go through to NZ Country Music Entertainer of the Year October 2019.